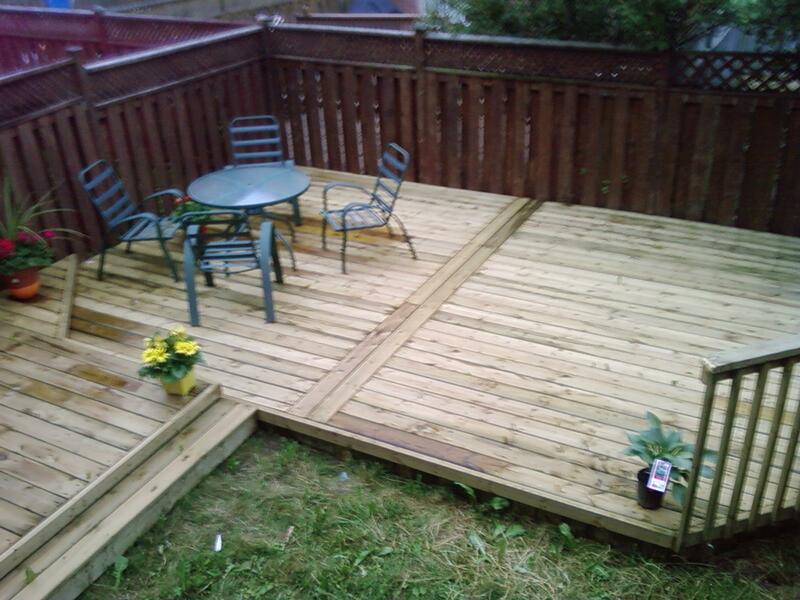 Our builders are passionate craftsmen who have many years of experience working with cedar wood decks. 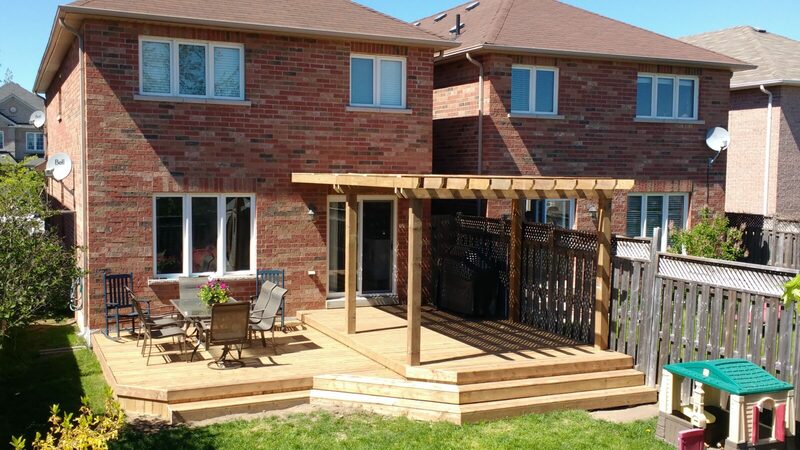 Among different types of wood, cedar has the most unique combination of properties, making it a fantastic choice for a natural deck building material. 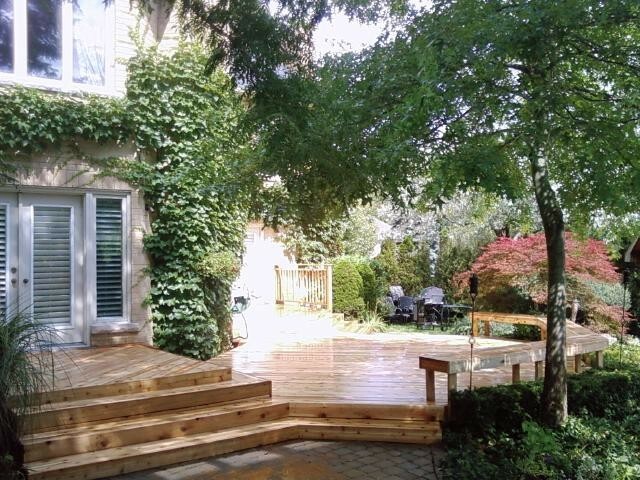 Western Canada is blessed with many varieties of cedar, and homeowners prefer the material over anything else, especially for creating an outdoor oasis like a deck. 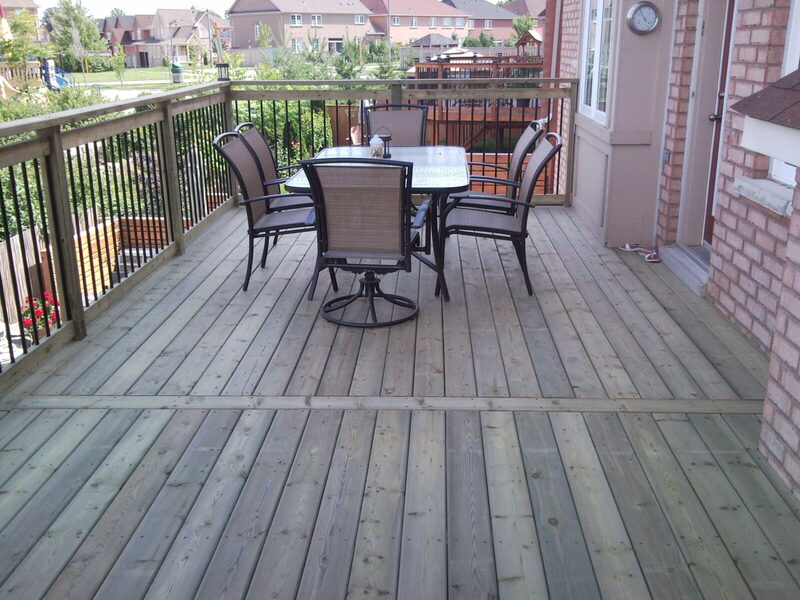 The Deck Master has been providing custom cedar decking services in Burlington and surrounding areas, including Mississauga, Brampton, Oakville, Etobicoke, Georgetown, Milton, and Acton. 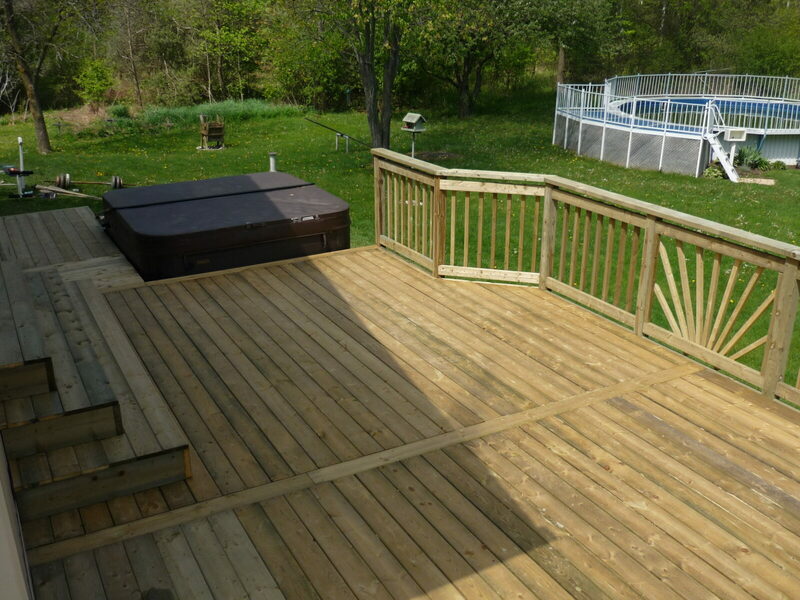 Our builders are passionate craftsmen who have many years of experience working with cedar wood decks. To make sure we achieve every client’s dream outdoor oasis, we provide them with several options, be it a clear or knotty grade, or anything in between. Whether you’re aiming for a bright, clear look or a rich, knotty surface, we can customize your cedar boards just the way you want them. In just a day or two, you can come home to an outdoor oasis that blends beautifully with the landscape. 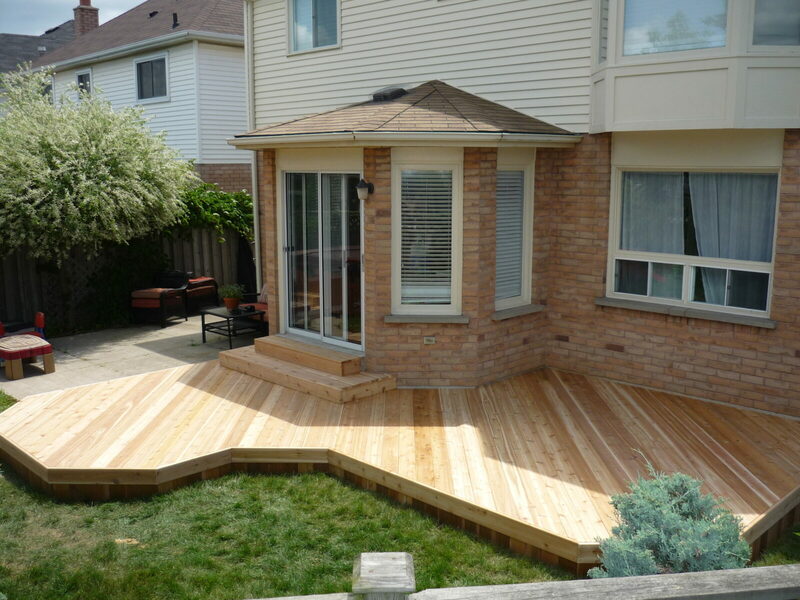 On top of variety and versatility, cedar offers longevity. It’s a top material choice of designers and contractors as it is built to last for decades, especially when customized and handled by our dedicated builders. 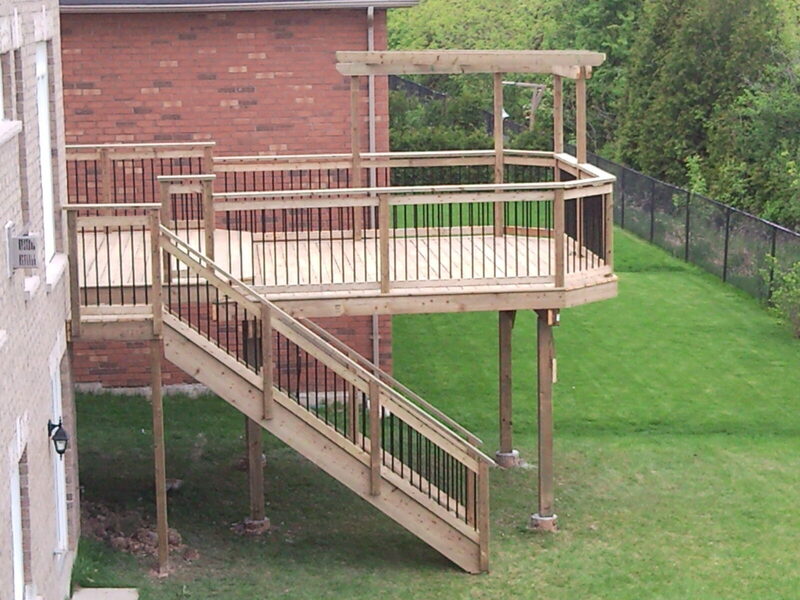 We’ll take care of every aspect of the project, from the framing down to the final touches. Explore our gallery today and discover one of nature’s most fascinating creations in a slab of wood. 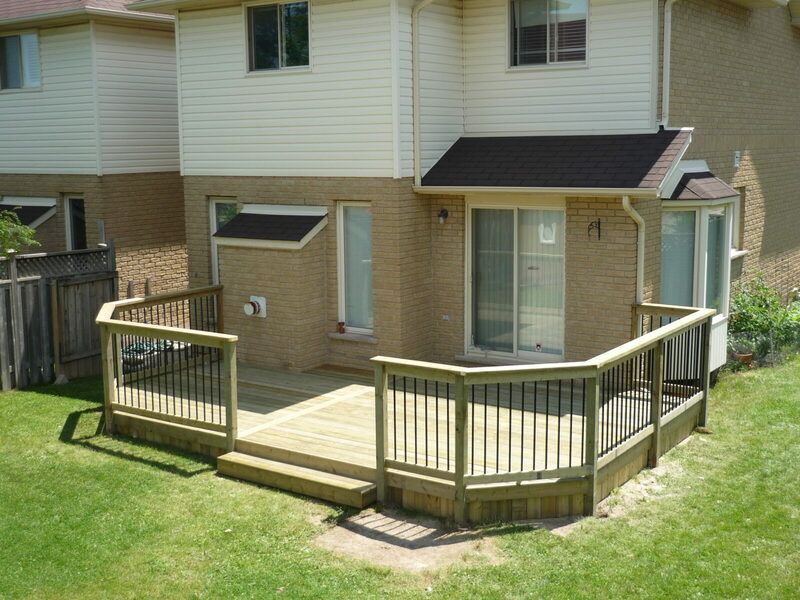 We want every deck in every neighborhood in southwestern Ontario to be a place of enjoyment for friends and family. 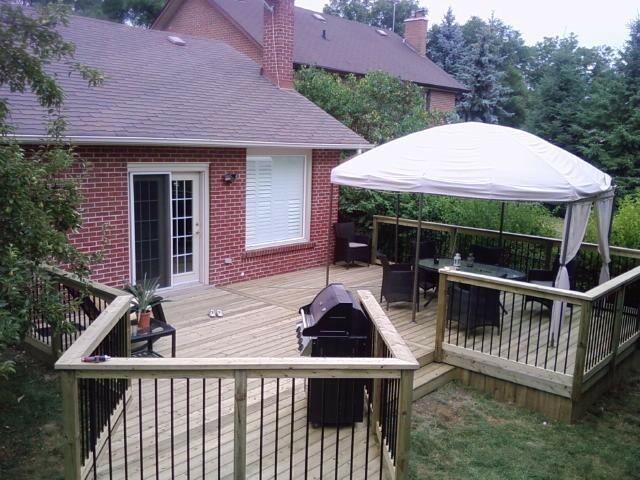 Talk to the most passionate and experienced cedar experts in Burlington today and watch your dream outdoor living space come to life.